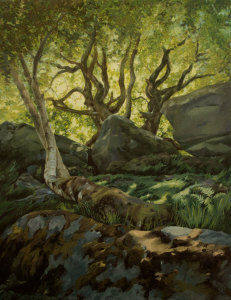 Take a look at Into the Forest Deep, an exhibition at the Kildare Gallery, opening on the 2oth of February. The title of the show was inspired by one of my earlier pieces that has already sold. But this one will be up during the show.